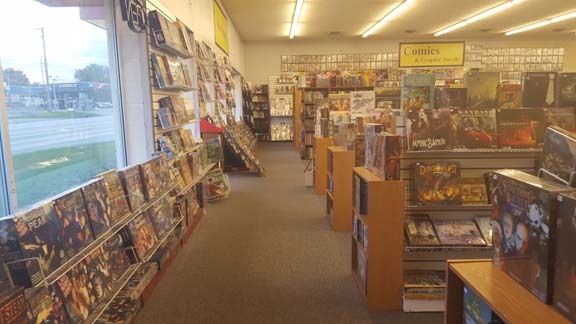 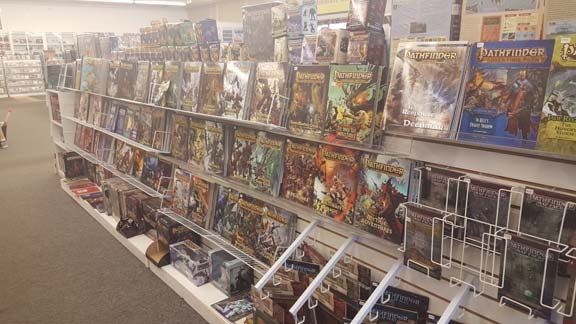 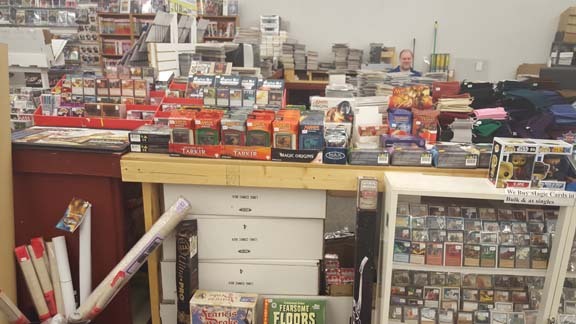 GOB Retail - Full Line Games, Comics, Graphic Novels...Board, Card, Role Playing, Warmachine, Miniature, Magic the Gathering, other Trading Card Games. 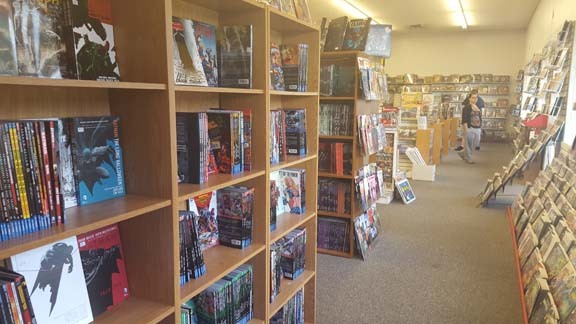 GOB stocks LARGE selection of games, comics, video games and accessories for your enjoyment in Gaming and Comics. 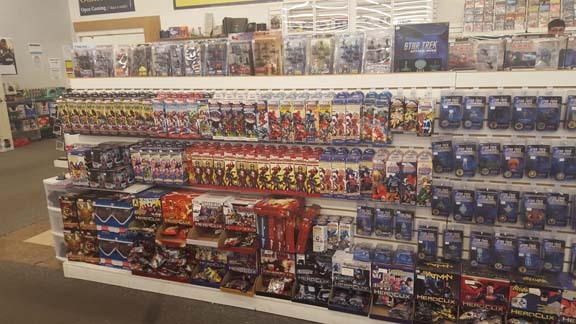 Over 60,000 different merchandises are in stock and Available. 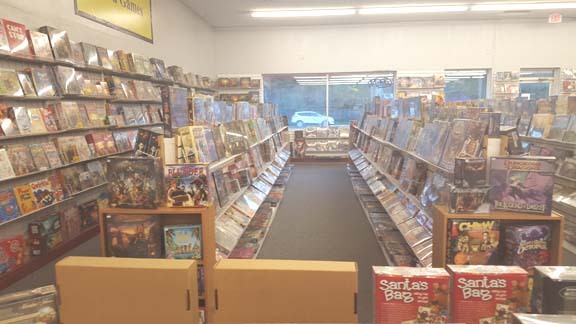 New & Used Games, Comics, Graphic Novels, Video Games, they come in the store weekly ! 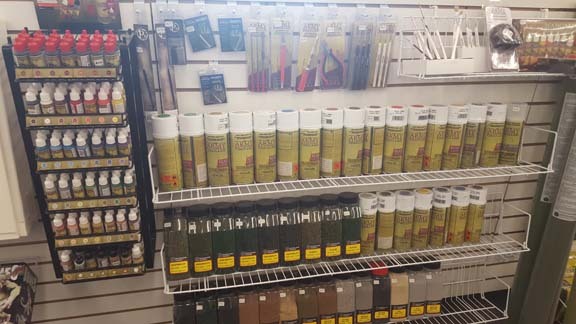 All inventory can be browsed and searched from our real time inventory. 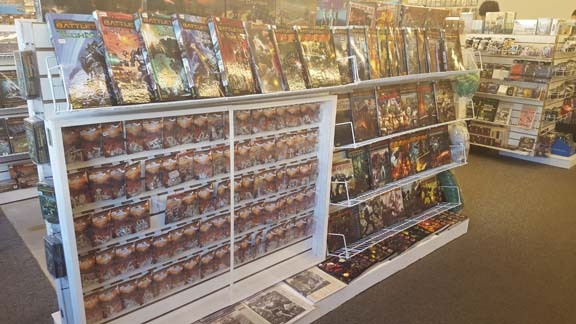 PLUS Cool features for our reward customers : gamer finder, comic subscription online, and more. 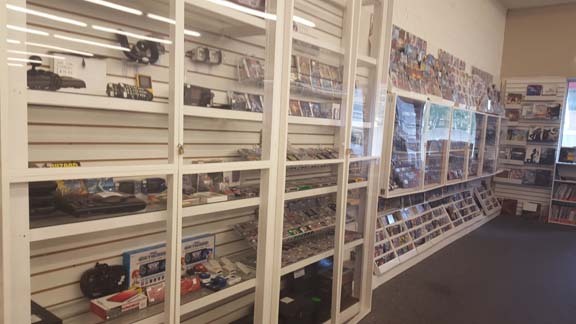 Check out what we have from gallery below. 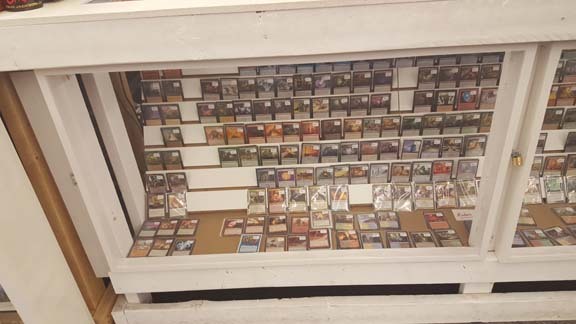 Please stop by the store. 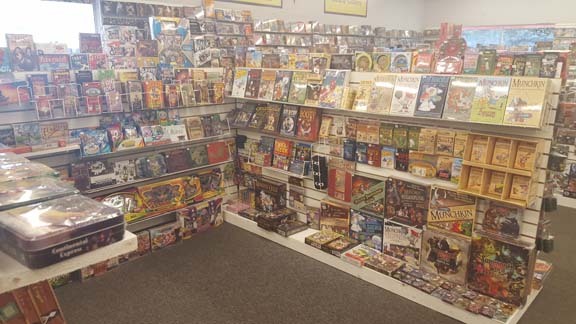 You will love what your see ! 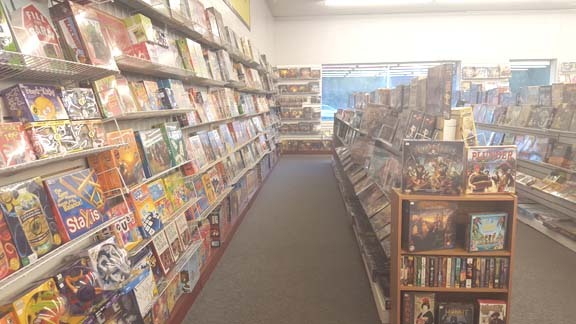 YES - here Board and Card games are Huge selection. 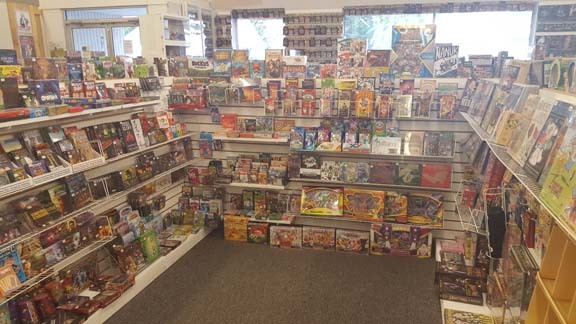 Over 3800 different games at the moment are in stock with real time inventory online. 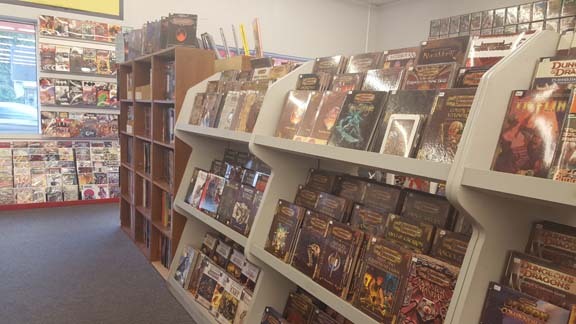 You can search and browse from our website. 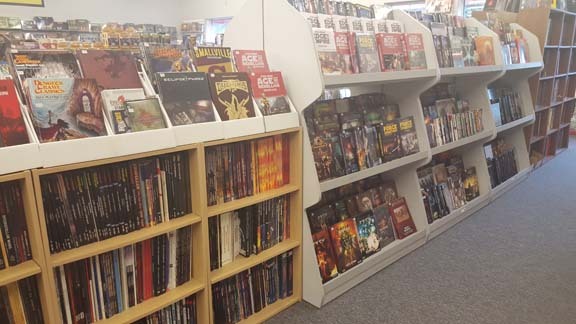 Back instock notification email can set up with Your GOB Gamer Reward Account and you will know right away when it is back in stock. 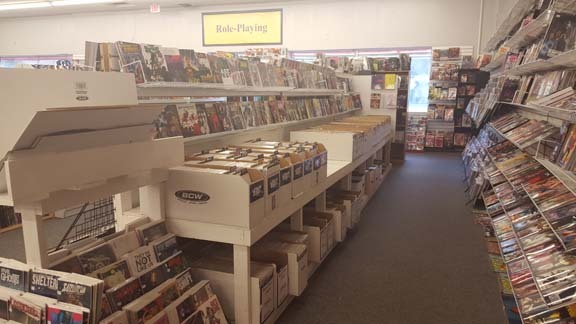 New releases and Restocks come weekly here with 2-3 times a week. 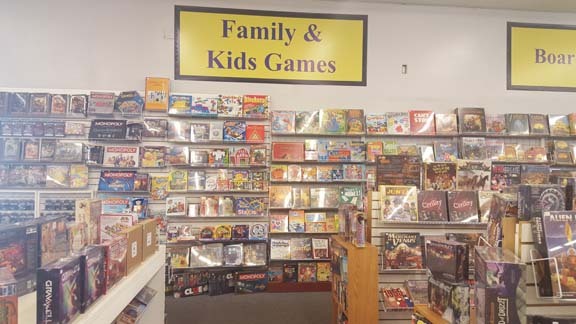 Family and Kids games, Puzzles are also available for your family ! 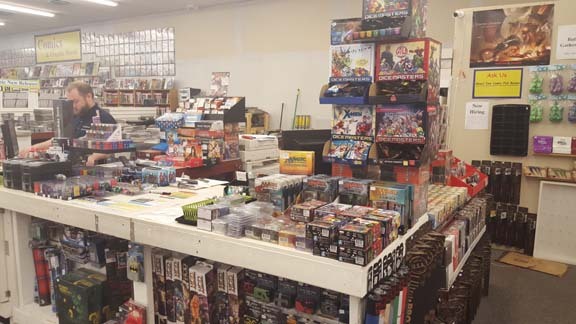 Magic, Pokemon, Force of Will players, you will love GOB Game Store here - We do carry deep in each game we stock. 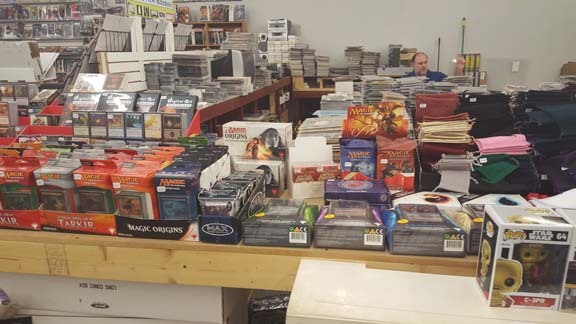 Booster Box, pack, fat pack, intro decks, deck builder tool kit, singles, used bundles, play mat, card sleeves, deck boxes, dice. 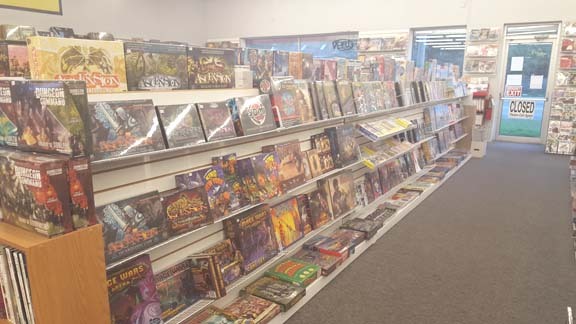 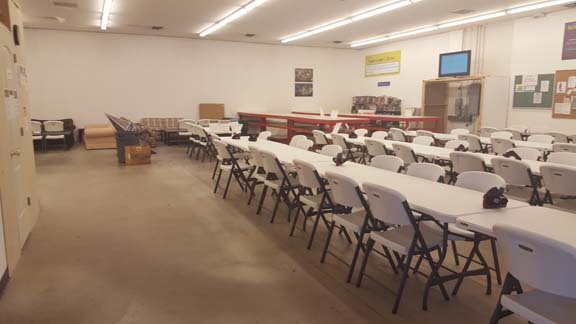 With game room can seat TCG Players with over 100 seats comfortably and all games we carry, you can browse and search online with real time inventory. 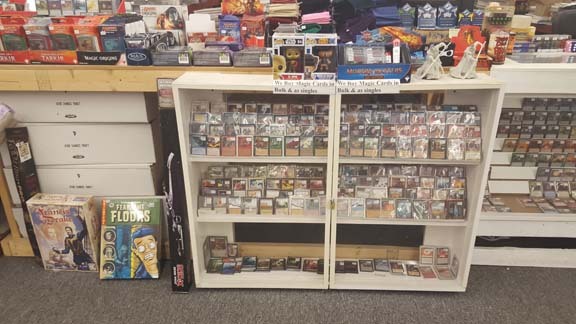 PLUS Earn Double GOB Reward points every time you put Preorder with us when new releases or earn EXTRA Magic Points when you play and purchase any magic the gathering products / events in the store. 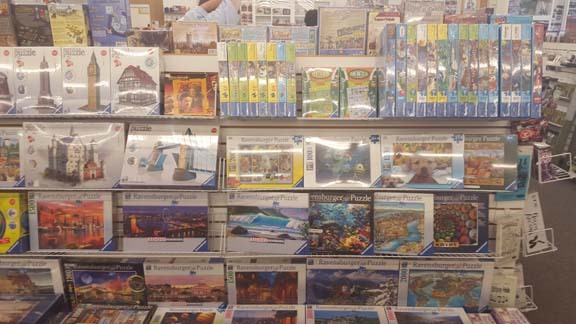 How cool it is ? 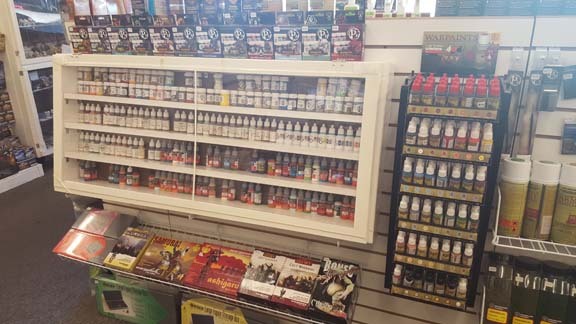 Full Line Miniature Games we stock here @ GOB plus Accessories : brushes, paints, battle mat, terrain, carry case. 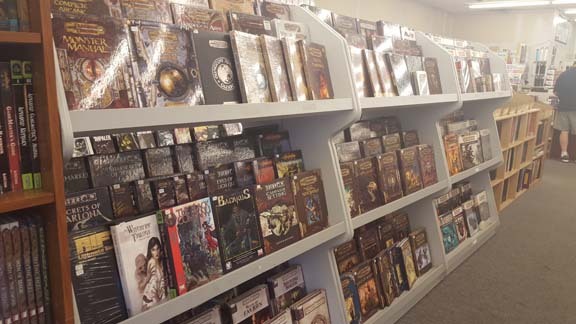 With Miniature Gaming Tables dedicated up to 24 players at the same time ! 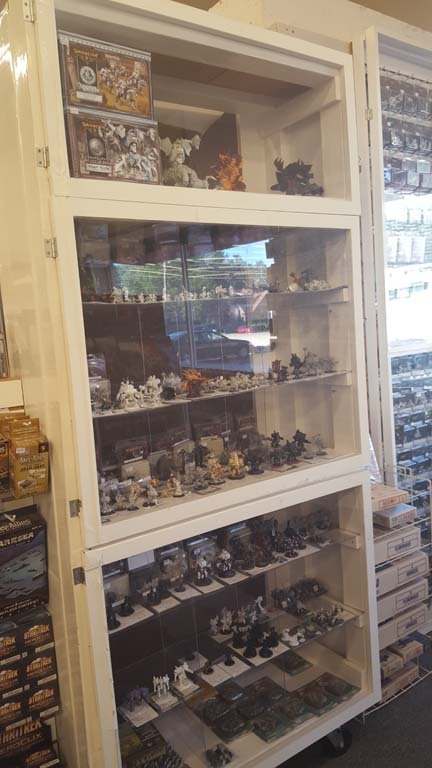 Used Warmachine and Hordes case are always full of used figs. 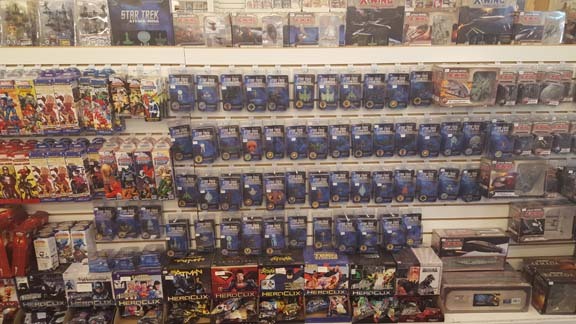 GOB Gamer Finder are a tool for our customers who looking to find gaming group or join new games. 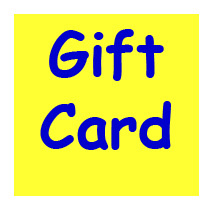 FREE service for GOB Customers ! 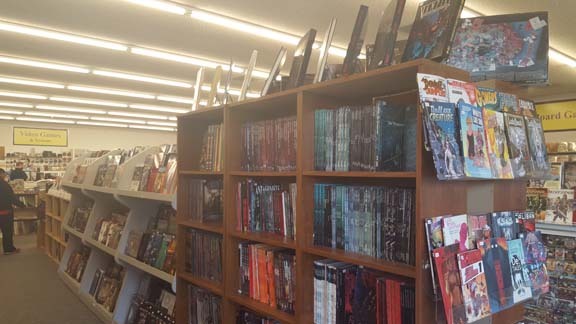 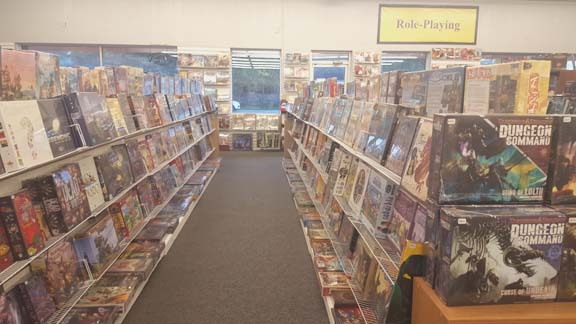 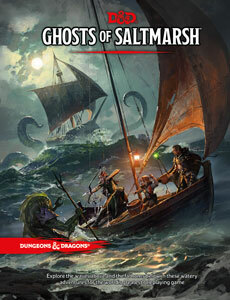 YES - Over 6,000 different role playing books we stock here @ GOB Clawson. 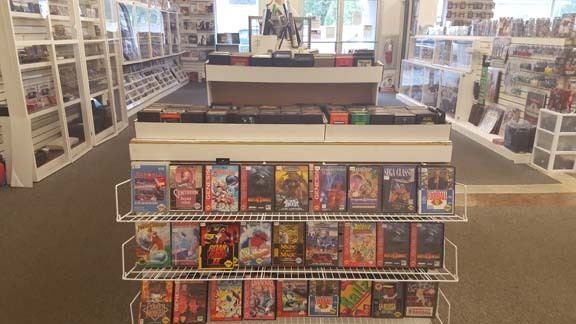 New & Used. 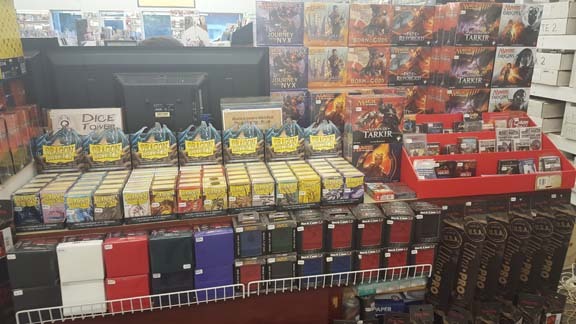 D&Ds 5th, 4th, 3.5, 3rd, 2nd, 1st, Pathfinder, Star Wars, Savage Worlds, Fate, Shadowrun 5th, 4th, 3rd, d&ds, pathfinder, star wars figures, and others you name it - Most likely we do have in stock in the store. 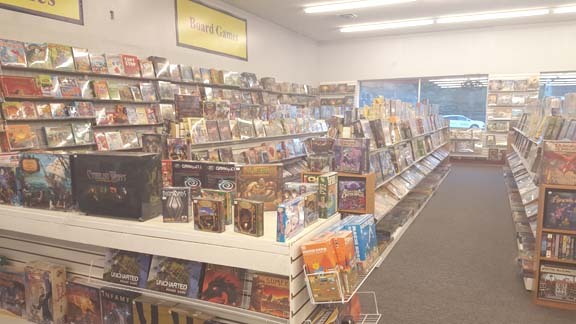 With very strong role playing gaming group community here - always have role playing group play daily in the game room. 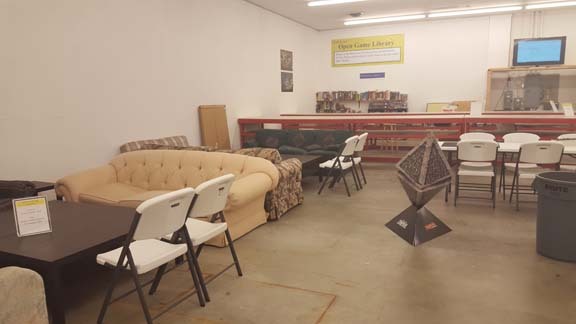 With two-sofa sets are comfortable seats welcome gamers. 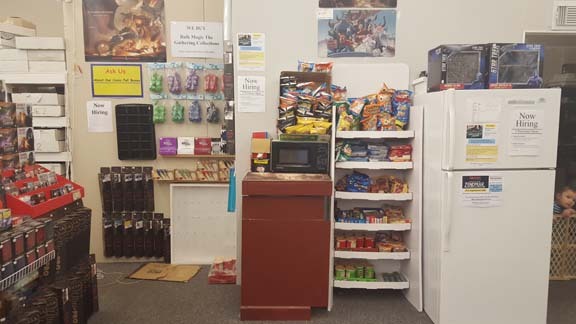 Don't forget use our GOB Gamer Finder, Notification Back-in stock features from website compliment being our valued customers ! 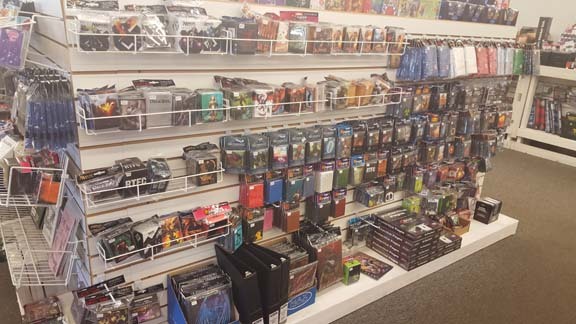 Oh yeah, dice, dice bags, play mats, eraser pens, card box, and other accessories you definitely can find here. 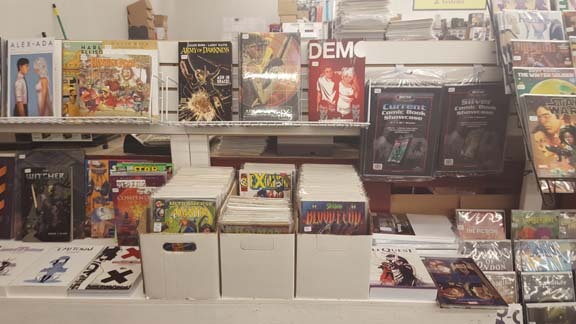 New releases and Restocks come in weekly a few times a week. 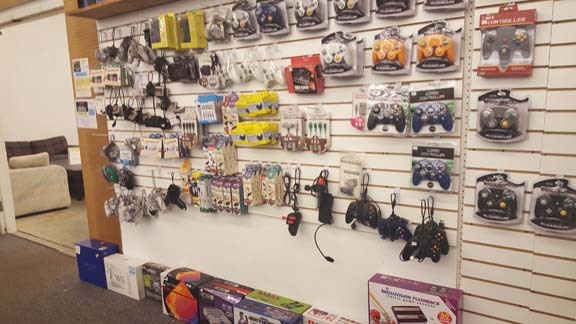 We're really proud to serve our gaming customers with full line in stock ! 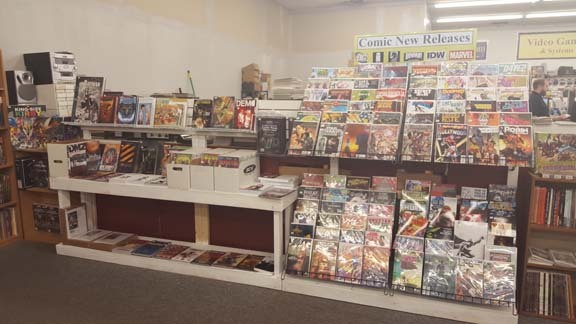 Comics are newest department we have added to the store since we moved to this location 2014. 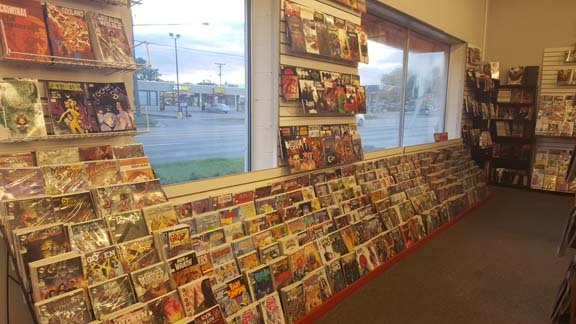 Up to today comic stock in the store with over 10,000 new and back issue comics in stock. 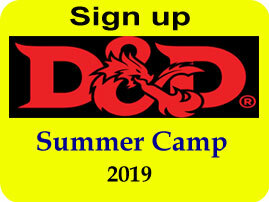 YES Less than a year with that number and It's expanding ! 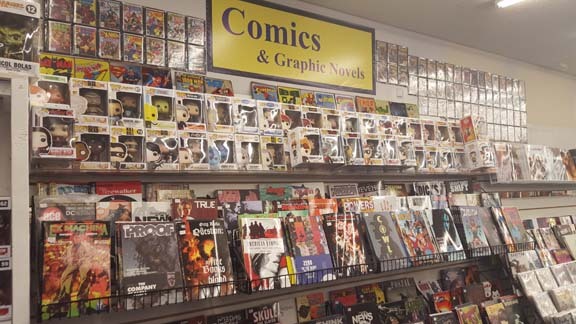 Every Wednesday, new arrivals comics and graphic novels put up on the shelves. 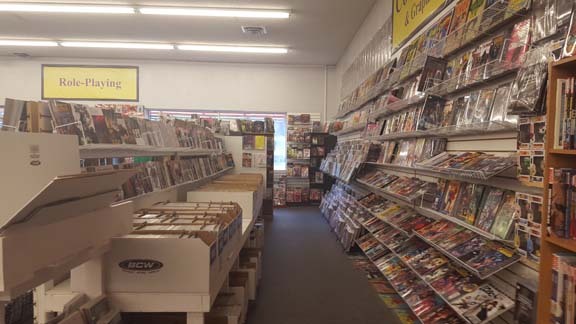 Comic subscription are ready to pick up any time during store's hours (7 days a week till 11 pm most of the days). 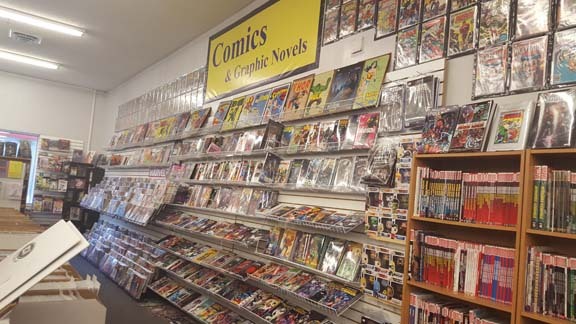 GOB Comics Customers can put comic subscription both in the store and online with our GOB Comic Subscription System Online. 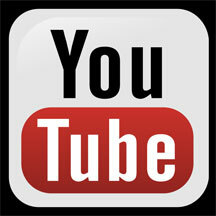 You can manage your pull box from your finger tips and YES It's FREE of Charge ! 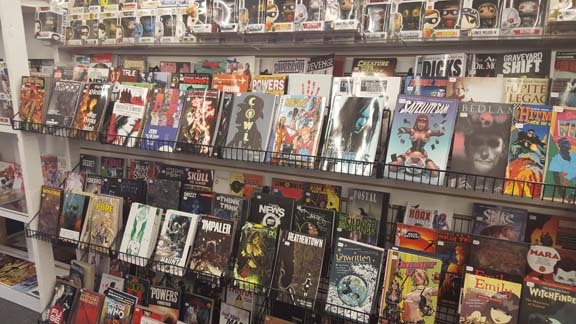 Every new comic purchase, earn GOB Comic Reward Point. 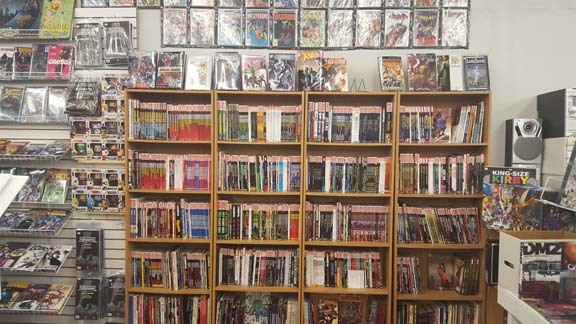 Subscribed Comic earn DOUBLE Points ! 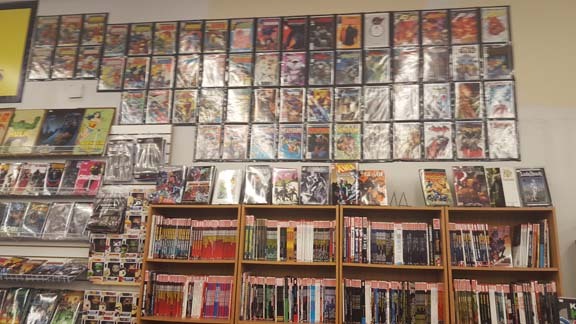 And you won't miss an issue. 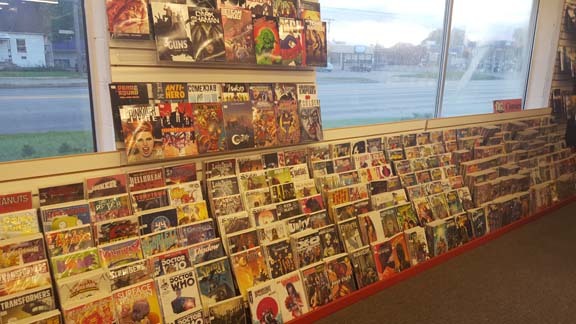 Don't forget to browse our new arrivals (new and back issue) from our website, real time inventory. 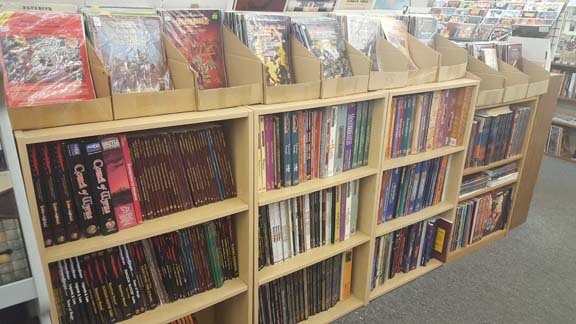 You can order online with Local Pickup with NO Shipping Charge and books will set aside for you to pick up any time up to 30 days. 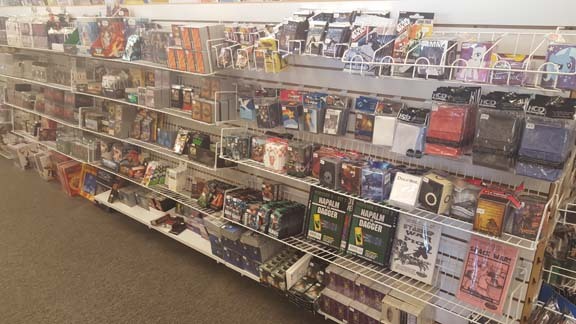 With over 2,200 SF alone for our customers to enjoy their gaming in the store. 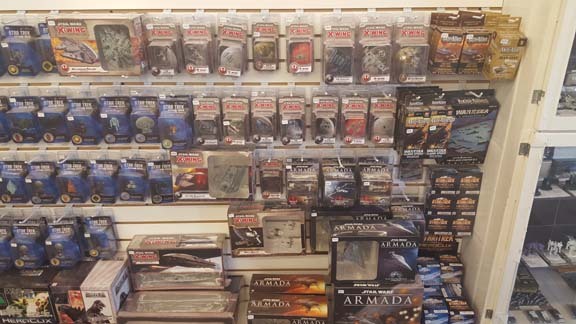 Sofa sets for role players, Tabletop Miniature Gaming tables for who love x-wing, warmachine and others. 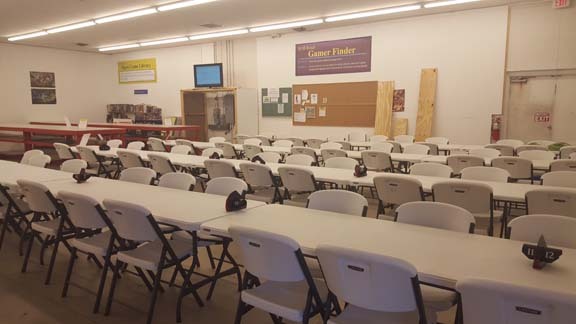 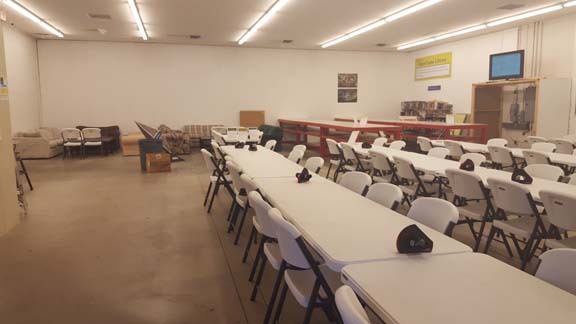 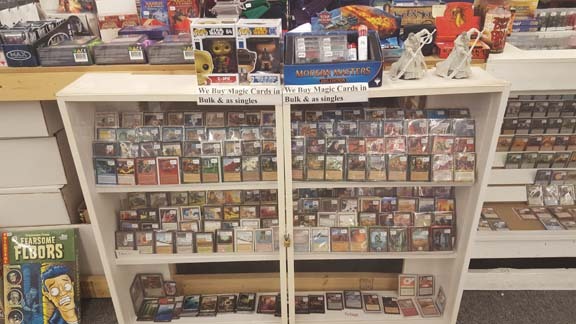 Over 100 seats for Magic and other Trading card games. 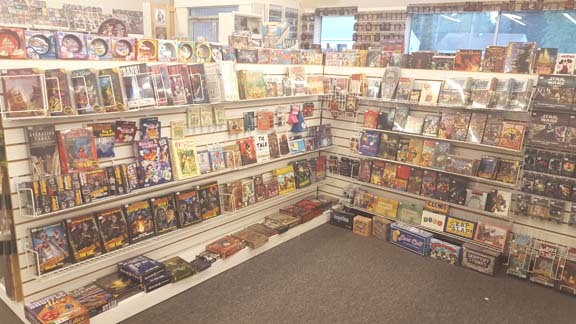 And YES WE do provide Store's Gaming Library for you and everyone can try out new games for FREE ! 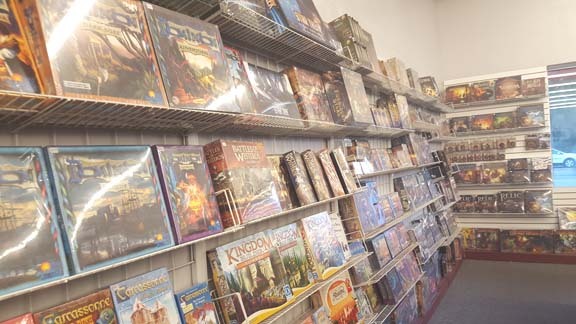 Game Room is open 7 days a week. 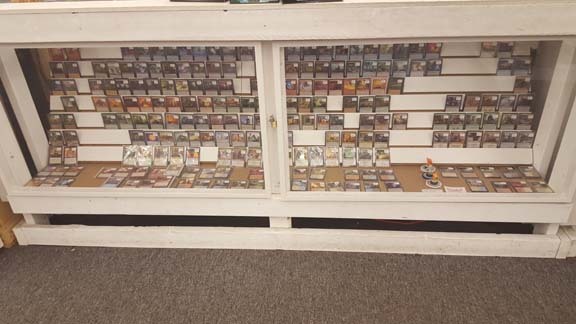 We organize Magic Prerelease, Warmachine League, Tournament, X-WING, Battletech and others. 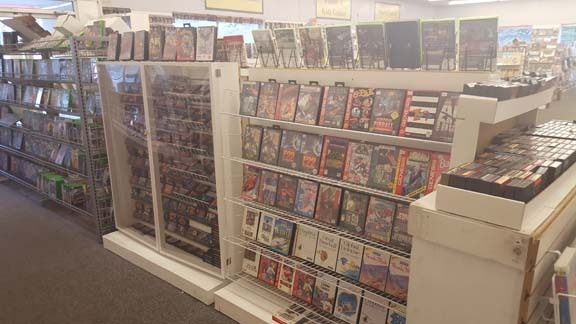 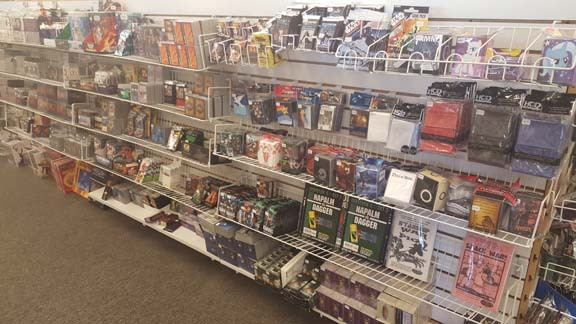 Over 60,000 different gaming merchandise are in stock and available for your shopping here @ GOB New Location Clawson. 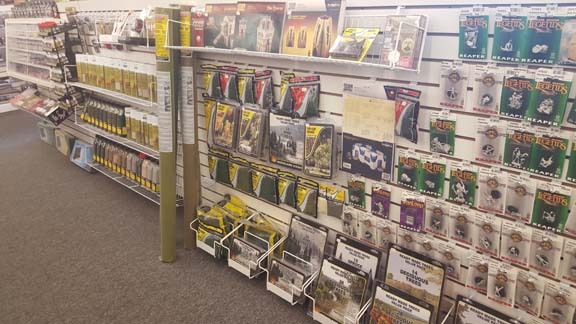 Stop by the store today or Browse our real time inventory online.